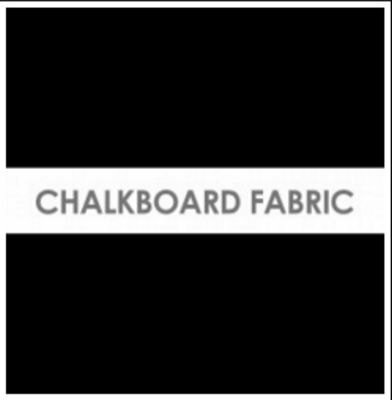 1 yard of Chalkboard Fabric, 48" wide. Great for all kinds of projects, like pillows, Christmas Stockings, Frames, anything you can imagine fabric must be primed before using. To do so, simply rub the side of common chalk over the fabric in one direction and then the other. Wipe clean, repea and after wiping clean your cloth will be ready to use. This cloth works great with chalkboard markers like items UC480C0 or UYC4804H or UC4804C.